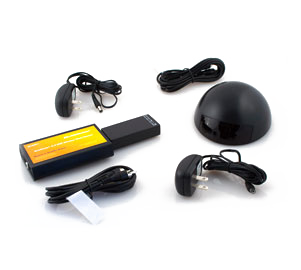 The ButtKicker Home Theater Seating Electronics Package includes everything necessary to power up to four ButtKicker LFE transducers or eight ButtKicker mini LFE transducers. The ButtKicker Homer Theater Seating Electronics Package (BK-HTSEP) is the simplest way to connect and power multiple ButtKicker transducers. The BK-HTSEP is ideal for use with seating or furniture with pre-installed ButtKicker transducers. 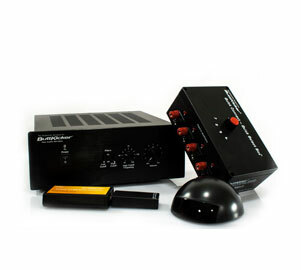 The included Quick Connect Quick Select Package provides plug and play wiring to the BKA1000-N amplifier. And, with the included ButtKicker 2.4GHz Wireless Send Receive system audio signal can be sent wirelessly to the BKA1000-N power amplifier eliminating the need to run an RCA cable from your sound system.